Welcome to the NSANZ’s Monthly Meeting video archive channel. 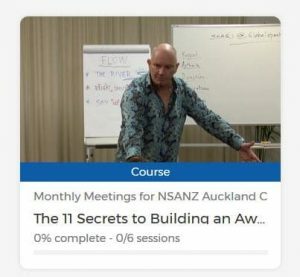 As part of the investment that you are making in yourself and your business through the National Speakers Association of New Zealand (NSANZ), you will continue to have access to a wealth of material that has been recorded during our NSANZ Auckland Chapter meetings. 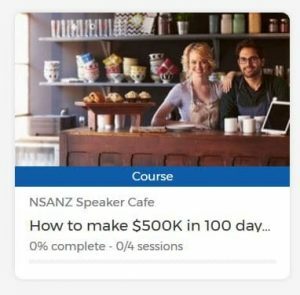 You can come to this channel as often as you like, as long as you are a financial Member of NSANZ. We plan to upload new material within 10 working days of recording a monthly Chapter meeting. We have a number of speakers that cover a wide variety of topics on how to build your business. Some will cover technique, others will identify revenue opportunities (such as productization) whilst the balance may include panel discussions. Most of these sessions will be facilitated meetings and are designed to share best practices and to mastermind the ideas and observations from our Members. 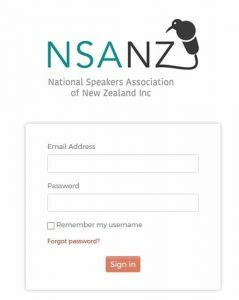 This programme is developed by the National Speakers Association of New Zealand (NSANZ). It is open to current financial Members of NSANZ who have paid to attend the Professional Development Academy Intensive (AI) or who have attended and completed the AI in previous iterations. 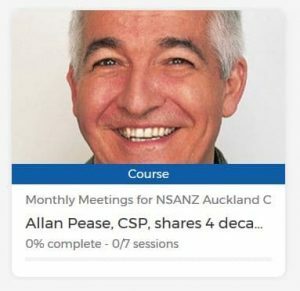 The AI is a pre-requisite for the professional development of the NSANZ Members and a requirement for Members to attain their accreditation.